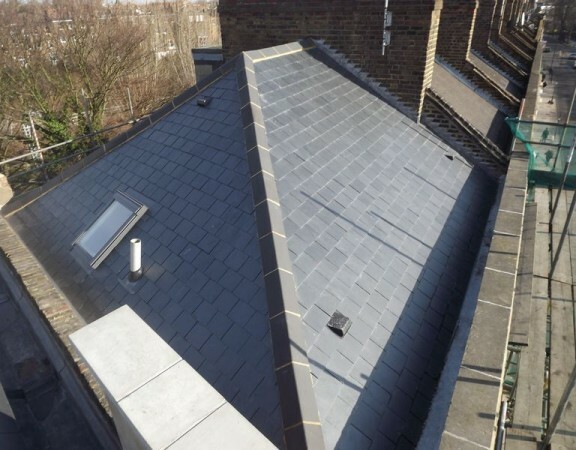 This property was located in a conservation area so all materials and work was to be undertaken on a like for like basis. 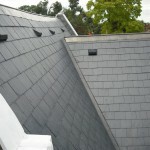 The roofing work was rather straight forward. 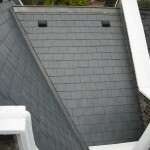 New insulation, breather felt, batten, lead soakers, flashings, valleys and lead ridge. 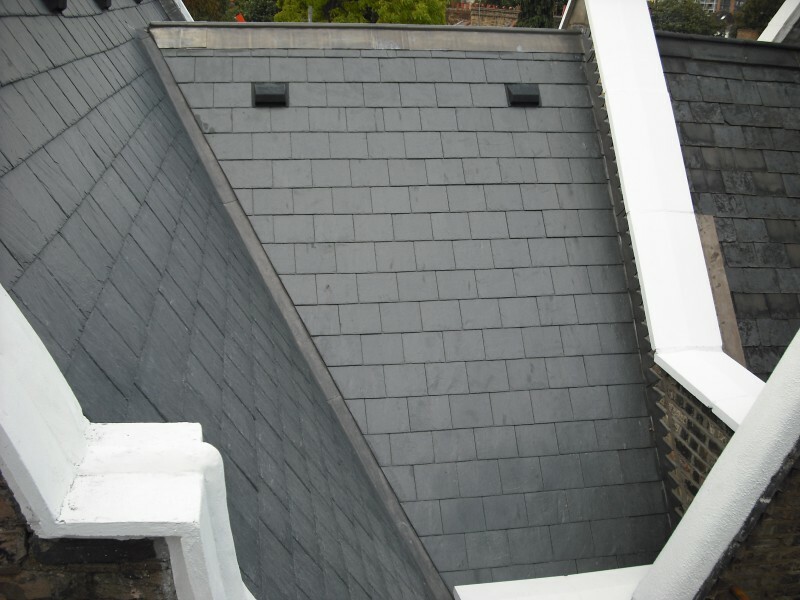 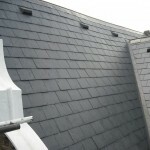 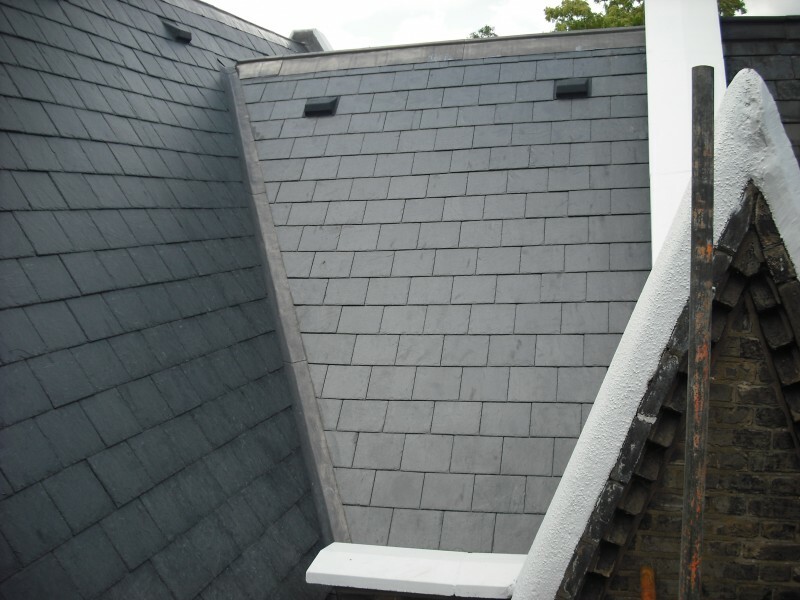 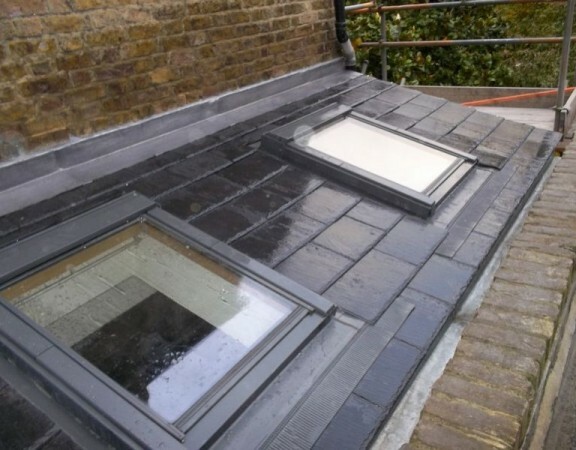 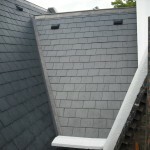 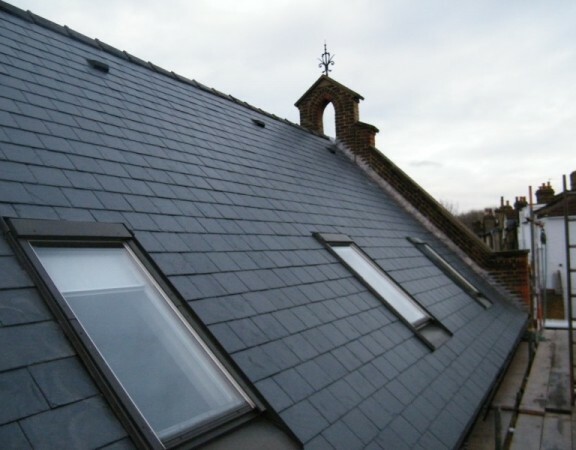 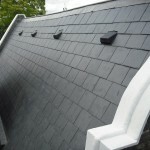 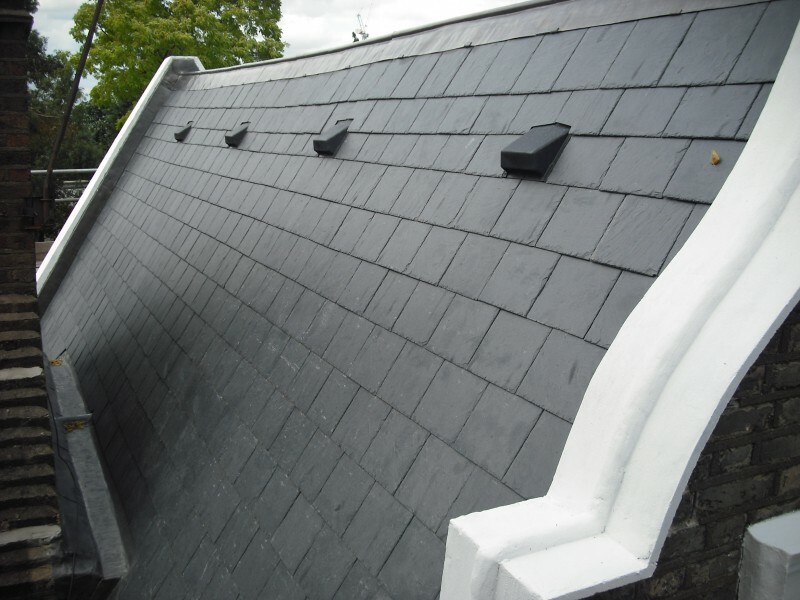 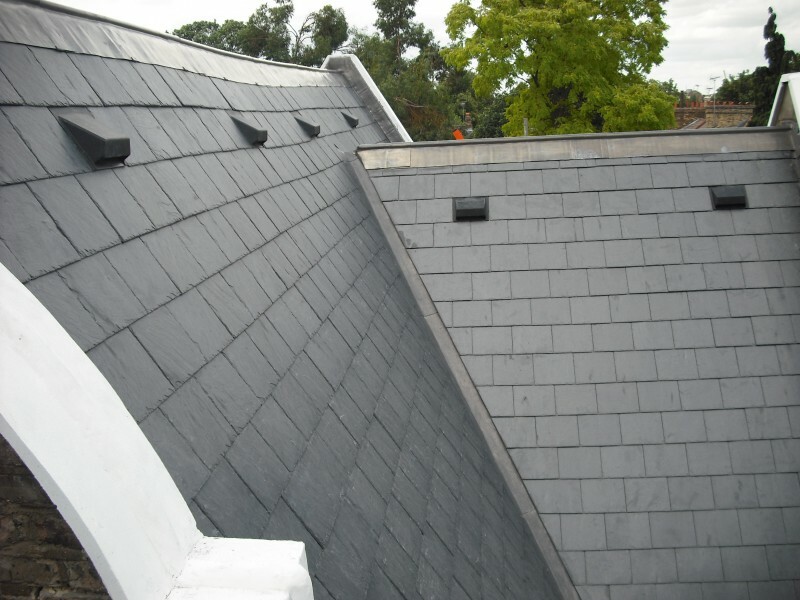 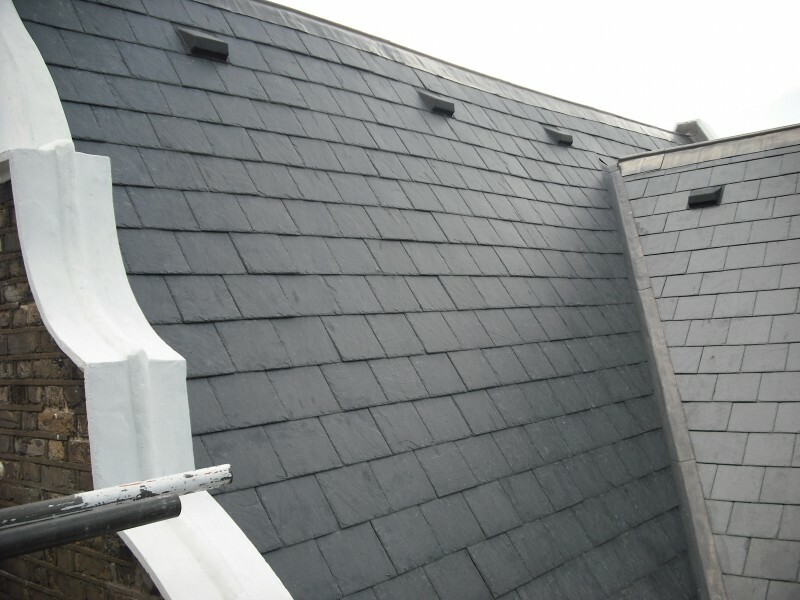 The very best grade Spanish slates were fitted to the roof slopes. 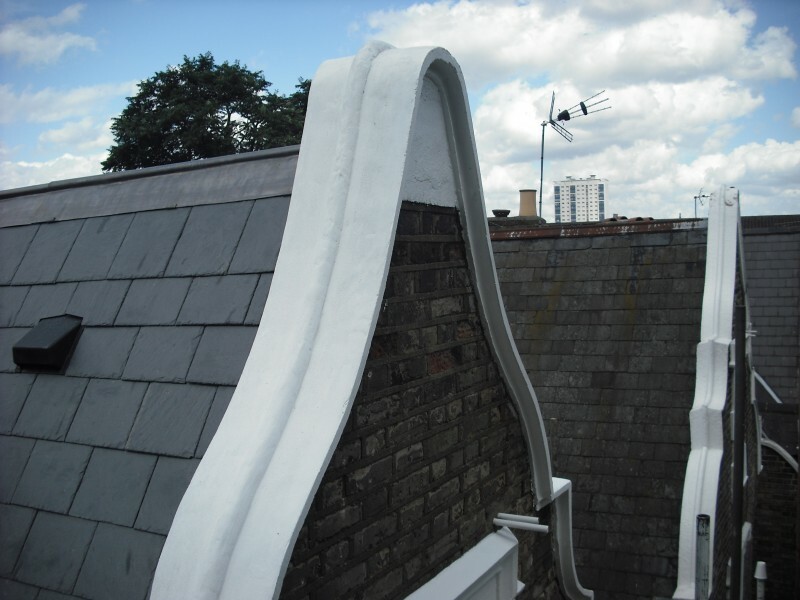 The tough job was the decorative coping stones to the parapet walls. 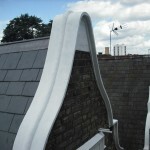 The old copings were at the end off there life. 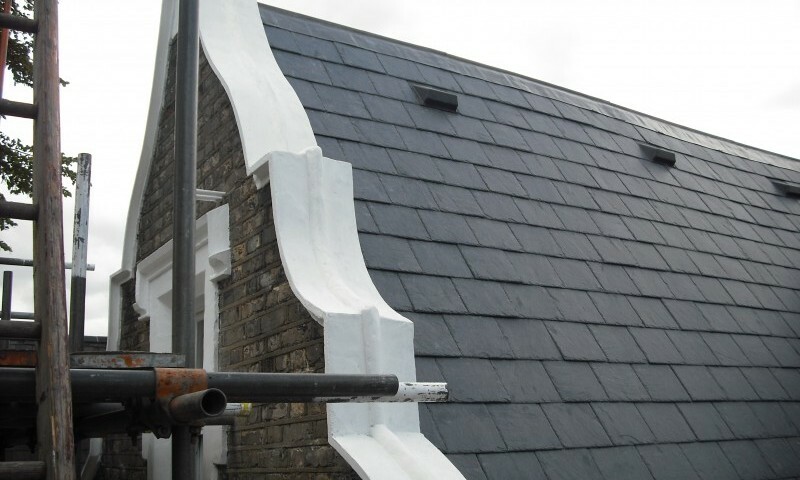 We manufactured a timber frame and cast all new copings in situ. 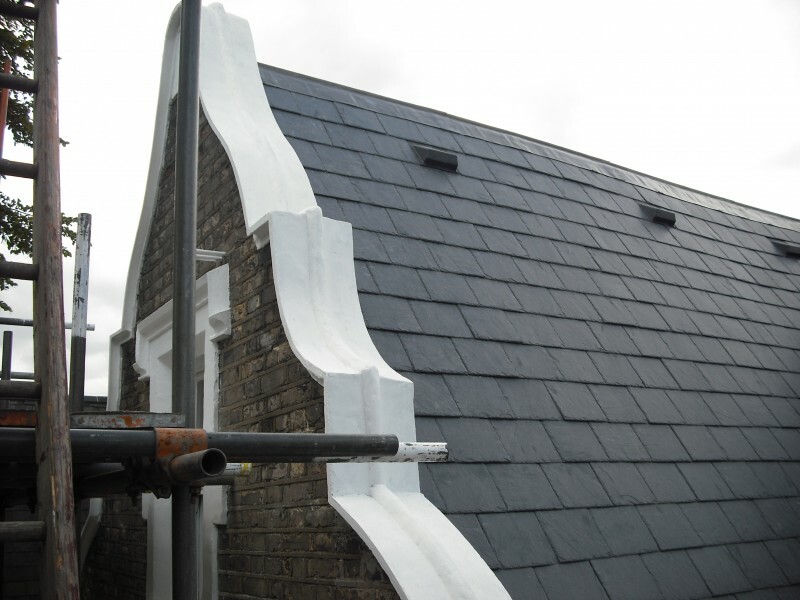 Once dry the copings were painted with a white exterior stone paint.